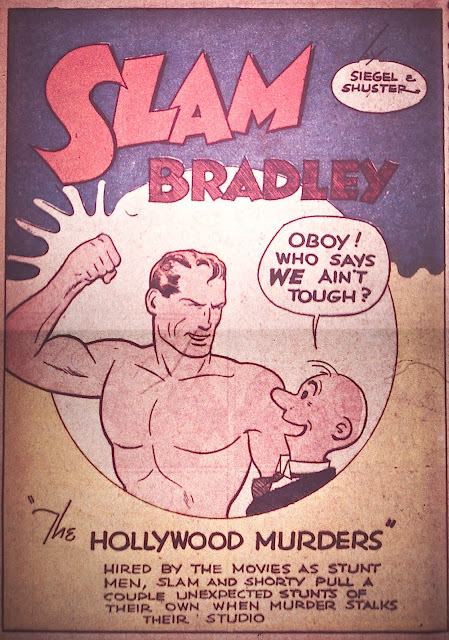 Here's a long, cinematic, well-drawn, and fun escapade with Wash Tubbs and Captain Easy...err...I mean Shorty and Slam Bradley. 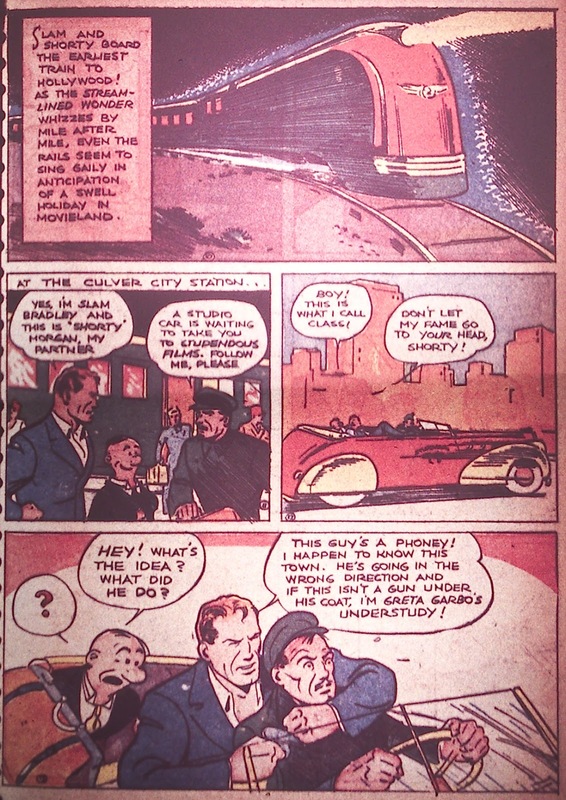 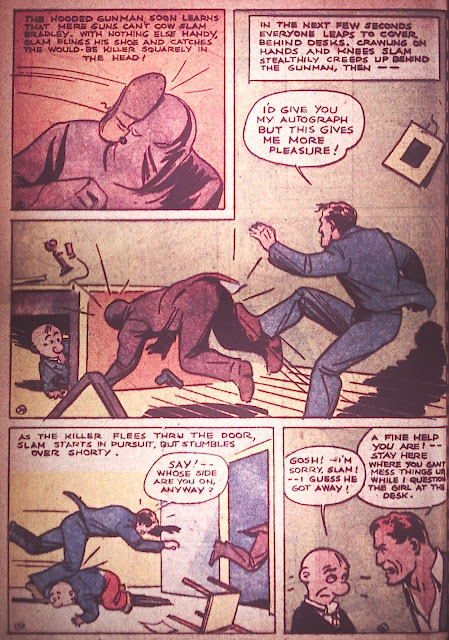 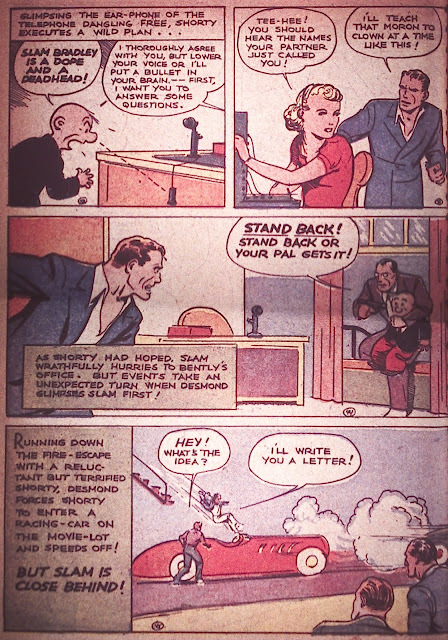 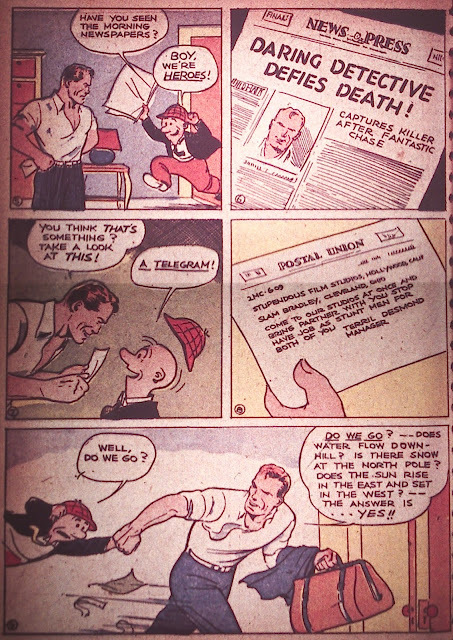 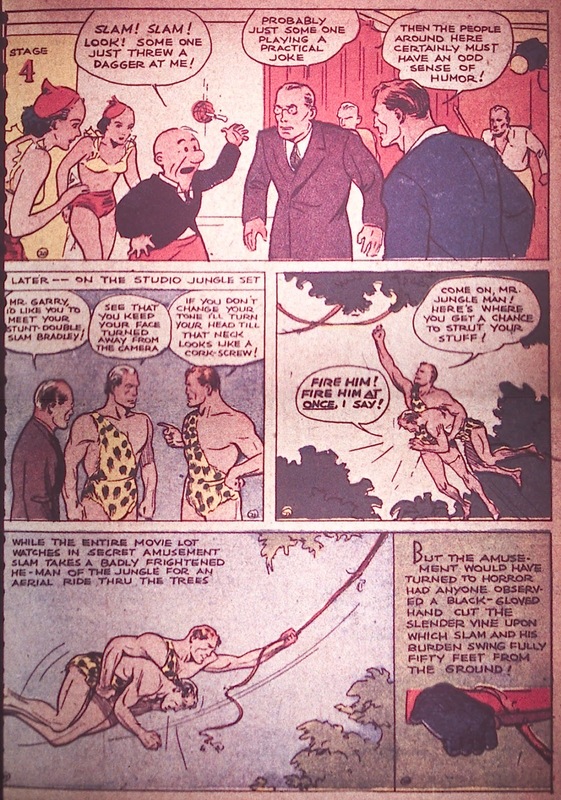 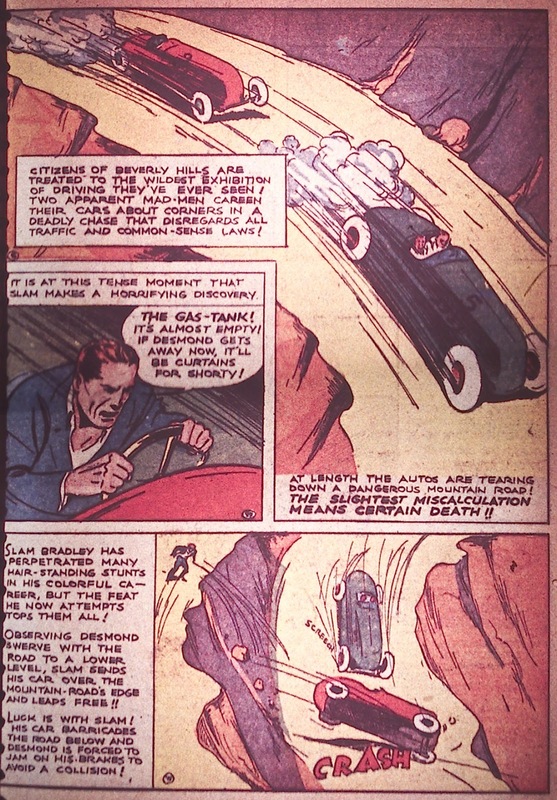 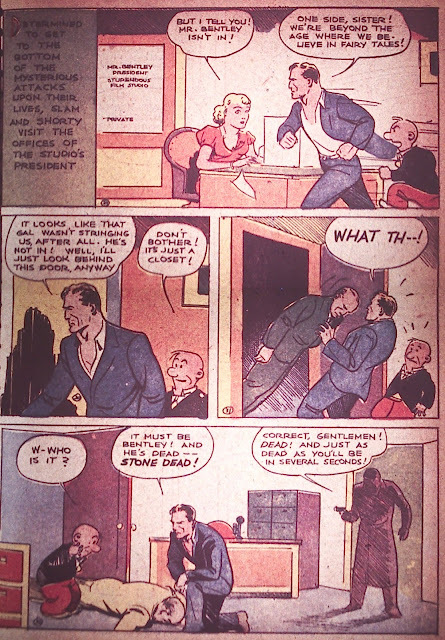 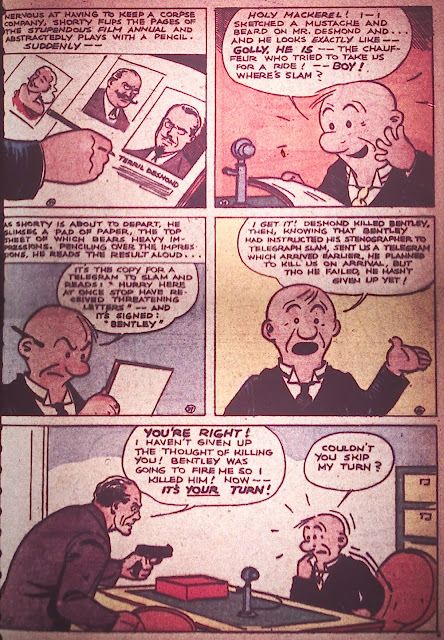 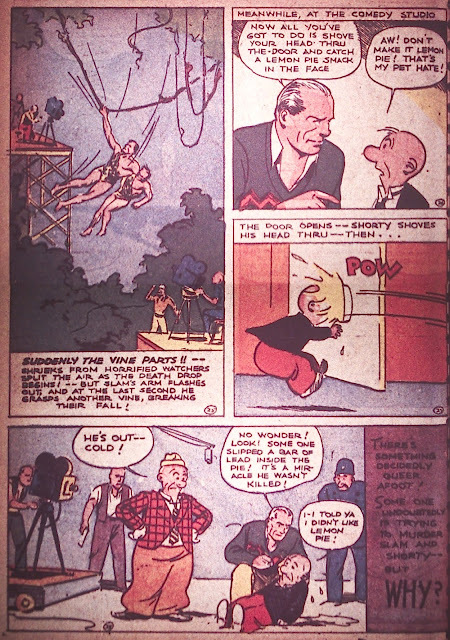 These two were Jerry and Joe's take on Roy Crane's popular newspaper strip and appeared in DETECTIVE not only before BATMAN but also before ACTION # 1. 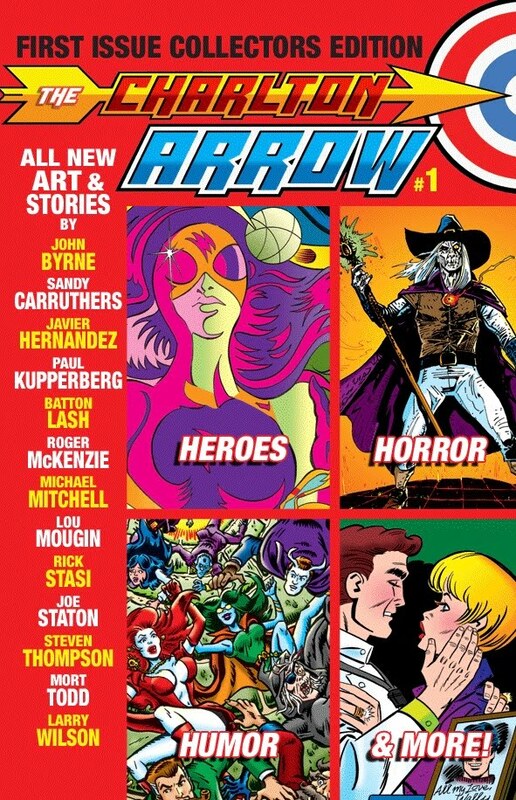 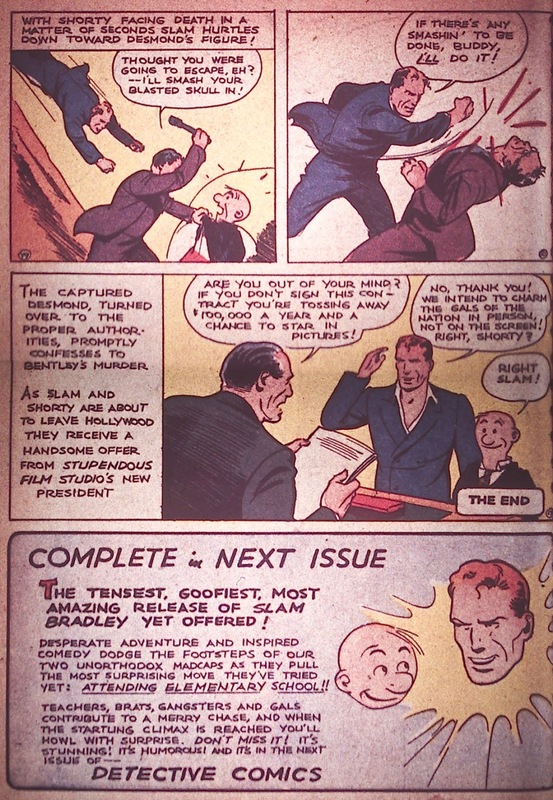 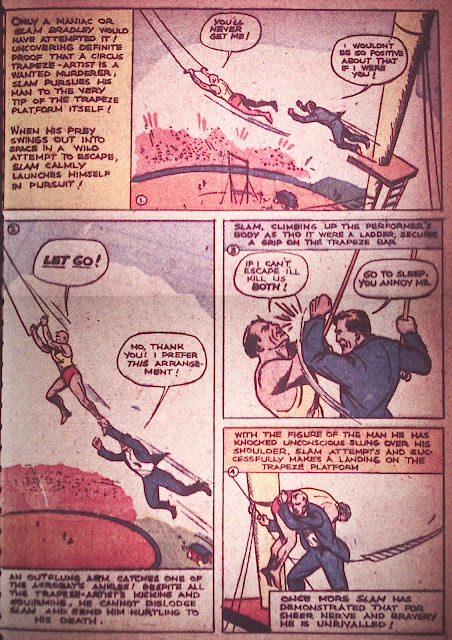 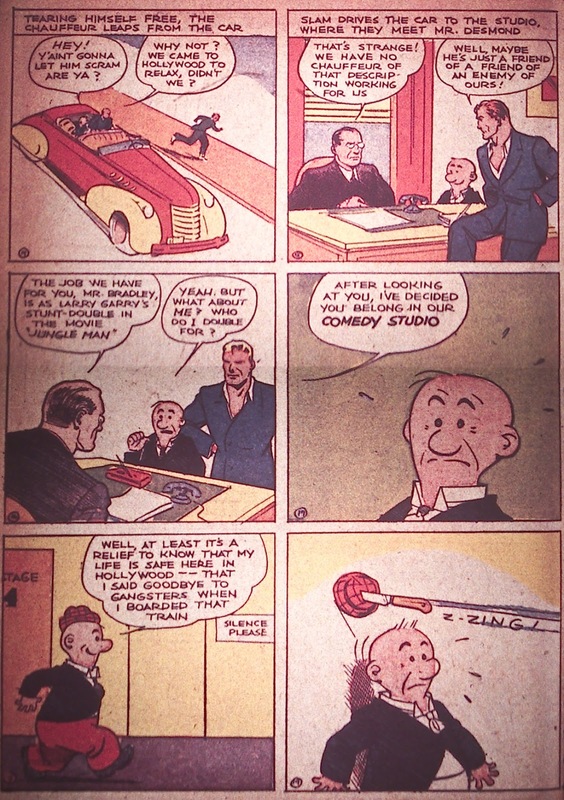 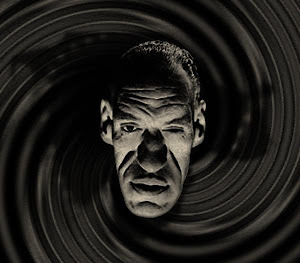 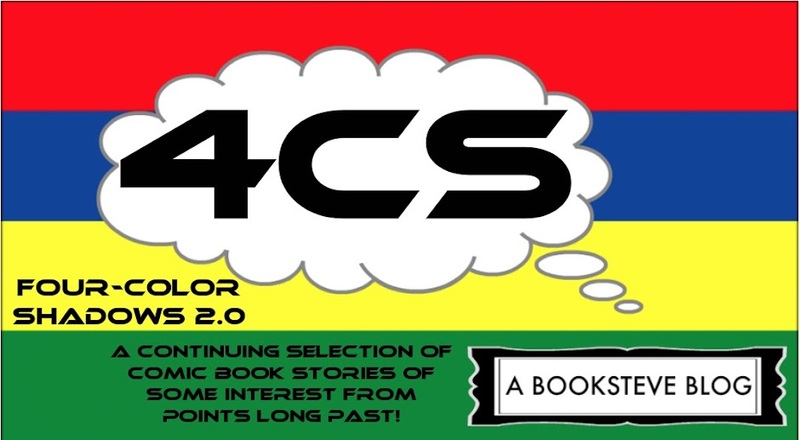 Hard to miss Easy's influence on Slam, though, and then Slam's influence on the early Superman (who had already been created here, just not yet published).